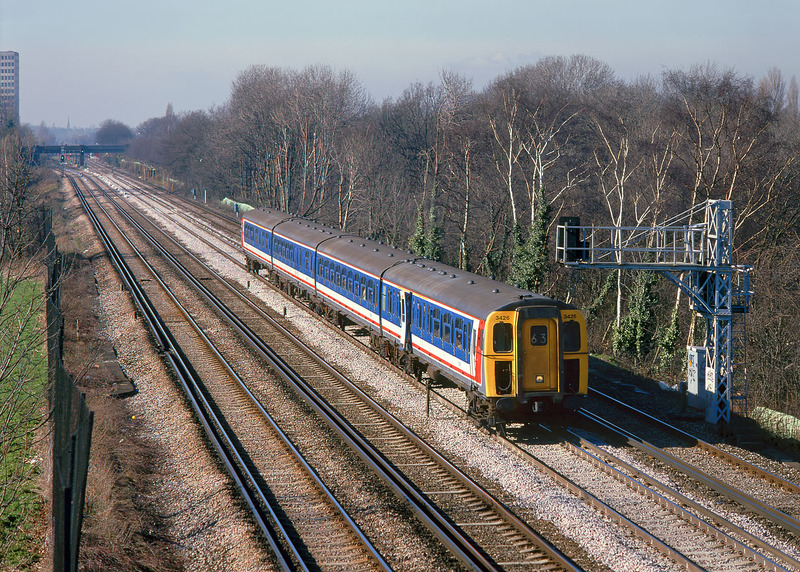 Highlighting one of the dangers of slam door stock, Class 423 4-VEP 3426 passes New Malden on 4 March 1995 with a door on the lead vehicle swinging open. The train is the 10:05 Basingstoke to Waterloo Network SouthEast service. I'm not sure whether anyone actually fell out, or as seems more likely the door wasn't shut properly and opened en-route, but it is certainly a graphic illustration of the problems with this type of stock.